At Durham Farms, there is no shortage of opportunities for outdoor fun and recreation. From downtown Nashville to first-class amenities right at home, Durham Farms offers something for every lifestyle. Durham Farms is conveniently located in Hendersonville, one of the fastest-growing cities in Tennessee. Downtown Nashville is just a 20-minute drive, close enough to enjoy the conveniences of city living, yet even closer to some of Sumner County’s greatest natural gems. Drake’s Creek Park is right next door with sports fields, picnic areas and a scenic walking path. If you’re looking for a more relaxing scene, Old Hickory Lake is only five minutes away and ideal for camping, fishing, boating, canoeing or just sitting back and observing nature. Right at the center of it all is The Farmhouse, a spacious 5,250-sq. ft. amenity center that will bring residents together with shared meeting spaces and more. Here, Durham Farms’ full-time lifestyle coordinator will organize a year-round calendar of events based on residents’ interests. Additionally, The Hub, the community’s Wi-Fi café, will be a great spot to catch up with friends or work while enjoying a cup of coffee or a tasty treat. The great room is perfect for hosting big events and gatherings, while the conference room is ideal for small meetings or birthday parties. 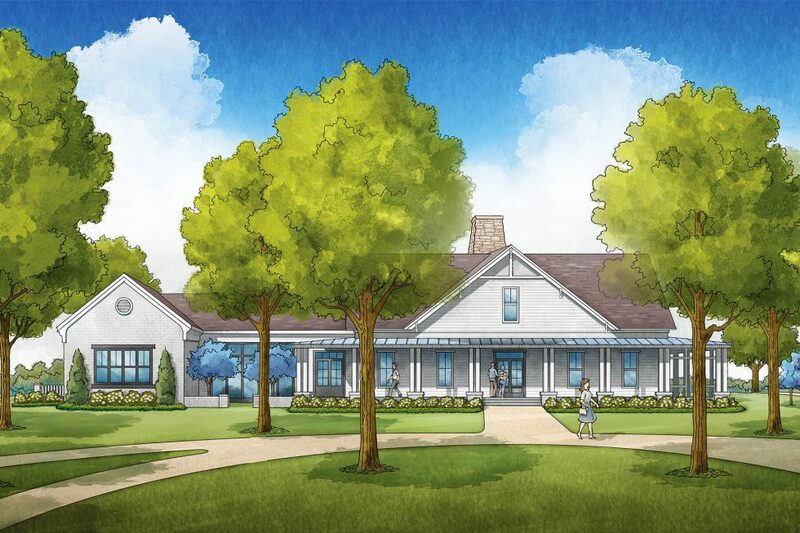 Located within The Farmhouse is a state-of-the-art fitness center with everything you’ll need to get your heart pumping. There’s a large, open fitness room, a separate group workout room and even a courtyard to take your yoga practice outdoors. There will be regularly-scheduled fitness classes, so there will always be something new and exciting to try. Tired of being indoors? Just outside The Farmhouse is the resort-style pool, perfect for swimming laps or relaxing on a lounge chair. Even the smallest residents will be able to cool off in the summer at the Splash Pad, a series of kid-friendly fountains and water features. Landmark elements throughout the rest of the community include nearly three miles of trails, neighborhood parks and the Village Green that will make it easy to kick back, relax, and enjoy your surroundings. Durham Farms’ onsite lifestyle coordinator will create a year-round schedule of events, encompassing a wide range of activities based on residents’ interests. It will be simple to find something that makes you feel connected. Running and walking groups, book clubs, poker leagues, picnics and festivals are just a few of the things that residents will be able to enjoy, with new activities added regularly. Want to learn more about Durham Farms? Sign up to join our Founders Club, and receive news and updates about the community.